Before this blog was started I wrote about our journey on my personal website (I’ve since have closed that site down, and have focused my blogging efforts here.) If you’ve read Noah’s birth story you know we had no idea Noah was born with Down syndrome until several hours after his birth. As we were thinking about ways to tell our friends we decided the easiest thing to do was to write a blog post that we would email out / post on social media..vs calling each one of them. (We did call our closest friends and family, this is just how we let the “masses” know. Below I decided to post a copy of that blog post for anyone who may be interested. This little baby came with lots of fun surprises! Wow. There are no words that can describe the rush of emotions that Abbie and I have experienced in the last 24 hours. We were told on Tuesday that Abbie would be induced at 7 am on Wednesday. We came into the hospital and waited for Noah (our son) to arrive. After almost 12 hours of labor, the doctor decided to perform a C-section on Abbie. 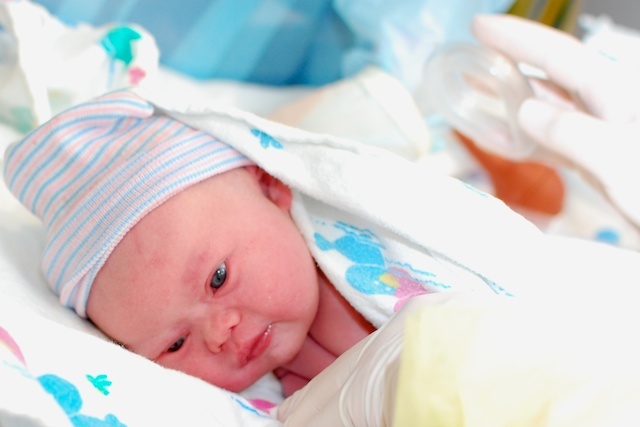 (This was not an emergency C-section, and I was allowed to be in the delivery room; behind the curtain, of course). Shortly after, Noah David Smith, was born! We were so happy, excited, thrilled, and all of the rest. Around ten pm, last night, we were informed that Noah was born with Down syndrome. We didn’t see this one coming, and as you can imagine we had even more emotions. (Fear, disappointment, worry, but mixed with the same joy, and excitement that we already had). If you are anything like Abbie, and I you may be at a loss of what to say (we certainly are), or not sure how to respond to us. We are hurting, happy, and confused all at the same time; and are just as confused as you may be. We wanted to just say a few things that we hope would make things more comfortable for everyone. Please feel free to talk to us about any of this. We are VERY much open to talk about anything we are feeling, so please don’t feel as if you have to avoid the subject around us. You don’t. Feel free to ask anything. Seriously. We mean this. Yes, you can hold Noah. (Unless you’re a twitter stranger, or cyber stalker). Noah is not broken. He LOVES people, and likes to be held like any other baby. You can touch him, hold him, play with him, and kiss him, everything you would do with any other baby. 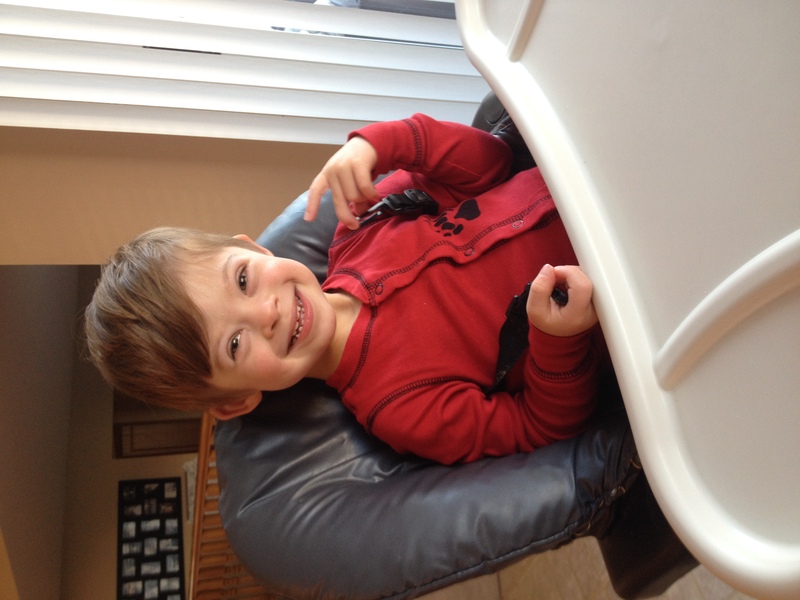 Down Syndrome is not contiguous, so you don’t have to worry about catching it! I sometimes say these things as sort of”filler” because I’m not sure what else is appropriate to say. You don’t have to. I am giving you permission to have some fun with us! Let me give you three alternative phrases to give you some more creative ideas; 1.) Wow – I bet you guys didn’t see this one coming. 2.) Hey did you know Sarah Palin has a baby named Trig that has Down Syndrome? I wonder where she got the name Trig? 3.) Wow – your baby has fat cheeks! 4.) Merry Christmas! Of course, you can say we are blessed, and he is special to. We just want you to know that you don’t have to watch your words, or feel like you are walking on eggshells around us. You aren’t. Ok, that’s all we’ve got for now. If I think of more, I’ll add them later. We just wanted you all to know you don’t have to walk on eggshells around us, or Noah. We really are ok. We really trust God. We really are excited. We really are nervous. We really love Noah. And we really like Chick-Fli-a. Thanks for your friendship, and support as start on this new journey in our life! My daughter and son-in-law weren’t expecting a down syndrome diagnosis either. Their son is their 3rd child and they were so excited to get a boy (they have 2 girls too ). They went through the same emotions of sadness, shock, grief at the diagnosis. He had his heart surgery at 7 months old. He’s now 2 and is accomplishing so many milestones. I love following your blog. Please keep posting! Many blessings to your family! I just want to thank you for continuing sharing your blogs. I always look forward to reading them . My wife and I can relate as we too did not find out until after our son Raiden was born that he was born with trisomy 21. I was only 29 at the time and was quite scared with the situation experiencing many of the mixed feelings you mentioned. However after 8 months in the hospital and many surgeries later our beautiful boy Was finally able to come home. Raiden is truly a blessing in disguise and my wife and I feel truly blessed. ? What a beautiful introduction to Noah. I have been following your blog for quite a while so I don’t know how I ever missed this. I am a nurse and worked with another young nurse who was surprised when her daughter was born with DS. Watching her over the years, I truly thought she was an angel when she filled us in with her little one’s milestones and what a wonderful addition to her family. That was until our granddaughter Ella Beth came into the world. Down Syndrome was not a surprise and I must admit I was very fearful about the challenges of having a child with special needs. Not sure why, when I know my son and daughter-in-law had already raised three healthy, happy children. Why would it be any different with Ella Beth? Of course, there are many more doctor visits with specialists and speech, physical and occupational therapies are the norm. We are blessed to have this beautiful little girl now 3 years old. She is special indeed. She is behind a bit in some of the usual milestones but that does not stop her from getting to where she wants to go, letting her wants and needs known without speaking a word, and worming her way into each and everyone’s hearts without even knowing her. She brightens our lives every day…….even though she lives 500 miles away……just by checking our her newest photo on Facebook where she is known as Sunshine. God makes no mistakes. Much like yourself, Jonny’s diagnosis of DS was an after birth “surprise”. After our twin boys were born my wife had a feeling that something was “different” with Jonathan, and as there was some doubt, genetic testing was ordered. On the day the doctor came over to use in the nursery to inform us matter of factly that Jonathan indeed had DS, my wife entered a short period of grief, whereas I was comforted knowing the truth and being able to move on with had to be done. As for informing family and friends, we were not sure what to do, as my wife’s parents were almost certain to take the news very negatively, and mine where an unknown. 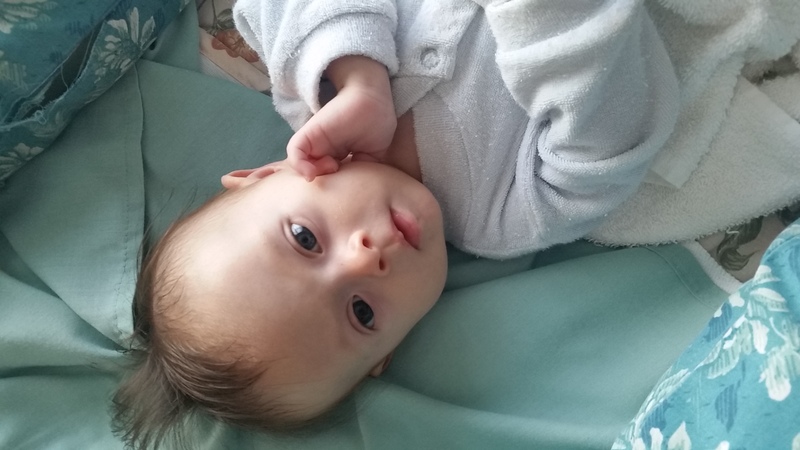 In the end we sat down with my wife’s parents to explain to them what was Down Syndrome and what they could expect from their grandson, and we were relieved to see that they quickly calmed down after some initial shock. As for my father, the reaction was not what I expected, and one that was a bit shocking: Could we not have tested beforehand in order to “do something” (aka abort). As for friends, they were all very supportive of us and our son, and they have remained so over the past 4 and half years. my daughter also has down syndrome. it’s the same beautiful sunrise just not on the horizon we as humans create for ourselves. Our little guy Ethan was also a big surprise to us. It took a few days to get the confirmation, and it was definitely tough at first. We told our family and friends and then word sort of spread. Everyone has been so supportive. Seven months later and we are just settling in for the ride. Thank you so much for sharing Noah with us and showing parents like me what is possible for the (at least immediate) future for our babies. Wow, how I can relate to all your emotions you experienced. My son was premature (born at 36 weeks) and I knew something was different but wrote it down to the fact that he was prem. 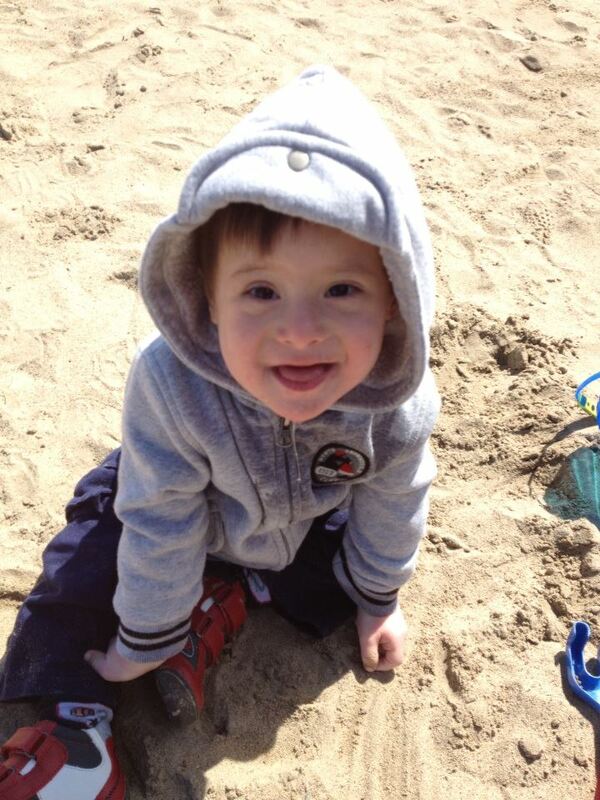 Two days after his birth the paediatrician suspected Down Syndrome and we had him tested. What a roller coaster ride of emotions washed over me at that moment! He is now 5 months old and we are (as I write this) in hospital where he is still recovering after having heart surgery to repair his VSD (ventricular septum defect). Today I can’t imagine my live without his beautiful soul. God has shown me ‘Hey, this is NOT as bad as you thought it would ever be, this is my gift to you’. God has truly blessed these children because they come into our lives and change our hearts for the better. I love reading about your family and feel that you are so blessed. Keep up the good work. You are doing great. I may not have had all those beautifully stated words at my sons birth. Like you we didnt know until he turned blue later but i knew frim the time i looked into his eyes our souls were bonded. Mark is the most precious gift God has given me. Unlike your Noah his dad left a qeek before his 1st birthday but he had 5 brothers and 4 sisters that have done a great job. Mark is 27 now and im still following behind him goind ‘i didnt know you could do that” He’s an enormous amount of unconditional love, filled with humor and joy and an ability to love his God and his angels, ( his grandmother,step dad and a few others) . I thank the Lord everyday for allowing him to stay with me. I had four healthy children, with no type of disability. My 18 year old son and 17 year old girlfriend found out they were pregnant, because of her brother they decided to get tested. The Baby had DS. We were all scared and devastated. The kids where addiment that they where keeping him and not giving him up for adoption. Brayden was born with a lot of health issues and spent a couple of months in the NICU. Over time God healed the holes in his heart and all of the other issues. He is 7 months now, and still has a feeding tube that seems to be a constant aggravation. He is so amazing, and I can’t get enough of him. I found your blog as this is such a new and amazing experience for me and my family. I love your family. You are some of the most authentic people I know. Thank you so much, for sharing your story, your lives, and pictures with all of us. I don’t have any children, but I am continually blessed by your posts. Noah & Jaxten are beautiful children. And as for how you told people about Noah… I think you did great! He is an adorable, loving and lovable boy. God knew exactly what He was doing when He created Noah and made you & Abbie his parents. God bless you. 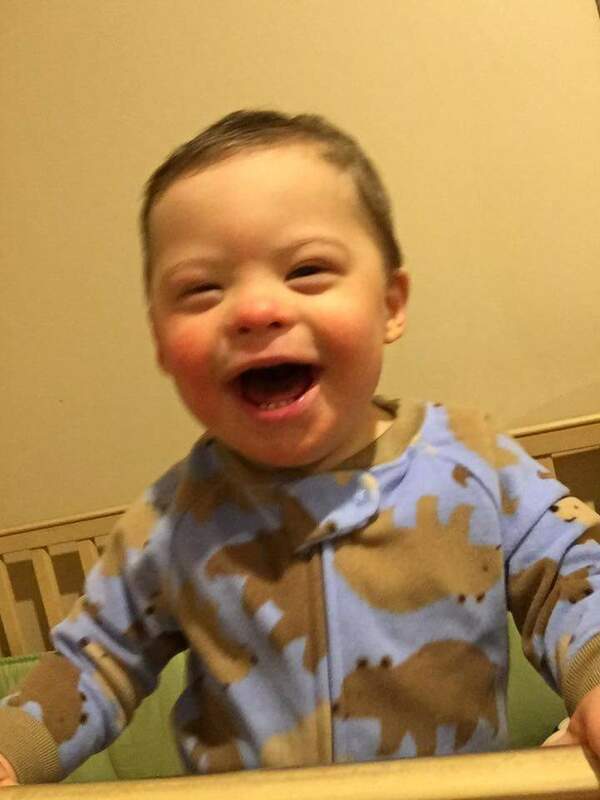 I am happy to be a part of your blog as it is so heart touching that god created Noah for his plan and purpose and even though he has down syndrome he is more active than others .I am so proud of your family for sharing your happiness to each one of us that all are equal.Please do continue to post your blogs in the future. I think sharing this story made every parents think that the baby born with any kind of disability is not a burden to the family because every new born is a gift from god and they bring happiness to the parents. Sharing about Noah feel so proud about him. god bless him more and more. Спасибо! Мы ВАС очень любим! Пусть БОГ благословит ВАС! Мы с ВАМИ! What a thoughtful, FUN birth announcement! I love it! My son Parker is three. Just want to say that this really helped me. I’m a reasonably young father to be and with a high chance (don’t like saying risk) of trisomy 21. I was concerned on breaking the news if dignosed and this was very helpful and easy to read. Our son Tyler had DS. At birth had A V Septal defect. Major heart surgery done at three months. Many many other surgeries done as well. We were told he would live to be 13 Tyler will turn 26 on Dec 4 th. Like I told his Doctors, you are not God and God will tell us when it is his time and only God. I would have another DS child if I could. What a joy and blessed that God chose us for Tyler. Hi, my daughter Lillian also has Down syndrome. She is 5 months now. We were told about the diagnosis very early during my pregnancy. It was never confirmed until she was born. It was a sad pregnancy. But days before I had my baby I decided I was not going to welcome her with sadness. I was happy the day she was born even though I could hold her right away. I had a c-section and they had to take Lillian to the NICU. She spent 17 days in the hospital, including Mother’s Day. 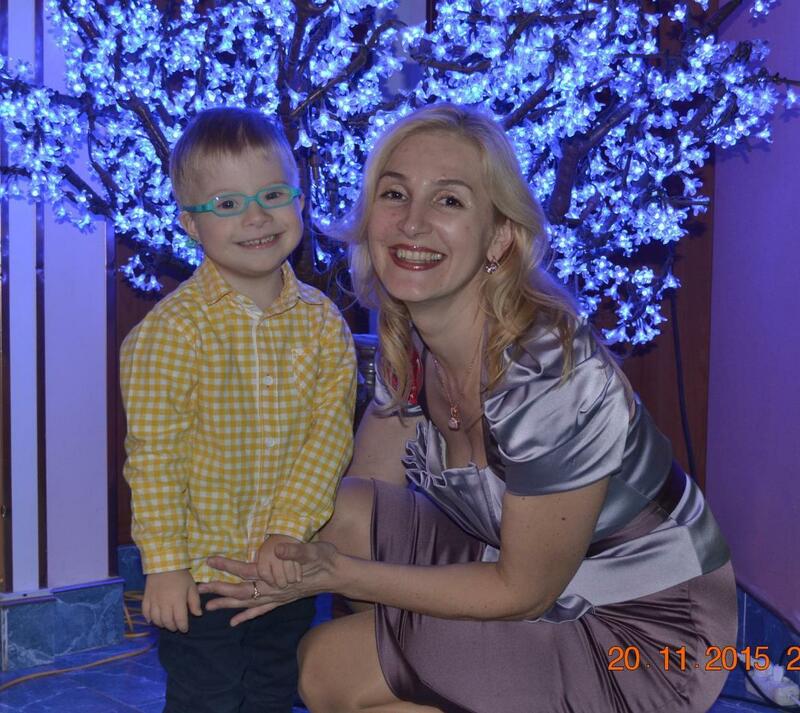 When she came home we came with hospital paperwork and referrals to 5 different specialists. She also has ASD and the cardiologist also said it should heal. She has to see an audiologist too and she is getting a helmet to correct plagiocephaly and brachycephaly (head flatness). Every time I go see a doctor I come back either relieved or emotionally exhausted. Every time Lillian gets sick or cries desperately in pain I cry inside. It’s so overwhelming. sometimes I wonder if she is going to be ok or get another health condition. This year has been so stressful. I love my daughter so much. I love both of my daughters. I never thought I could love someone the way I love my oldest daughter until I had Lillian. Now I understand how big a mothers heart is. Hi, I’ve been reading about parents we’re surprised at the Down Syndrome diagnosis of their children only after birth. Could you share if prenatal scans and blood tests for possible Downs are routine during prenatal check-ups in the states? Where I reside, these are standard routine tests. I just found your blog and I’m really excited to start reading all your posts. We just found out we are expecting a baby boy with Down Syndrome. I’m 23 weeks pregnant, so we are thankful we have time to prepare and find cool blogs! It sounds like you guys were past due? I’ve been seeing a trend of early deliveries but know they are expected to be full term. Also, did the hole ever close up on its own? Or did he need surgery? Thanks for your stories and connection to him being a blessing from God! I appreciate it!